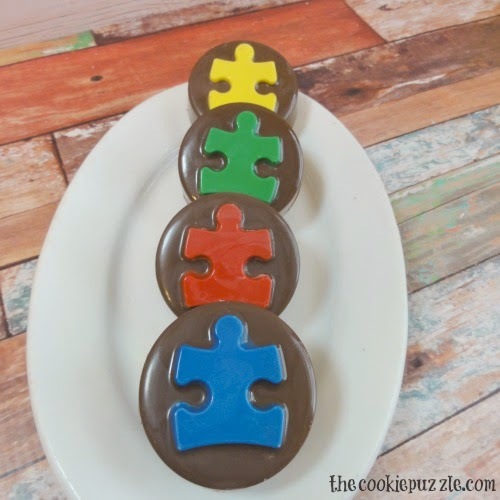 April is Autism Awareness month, and I wanted a quick and fun treat to make to share with friends and family. 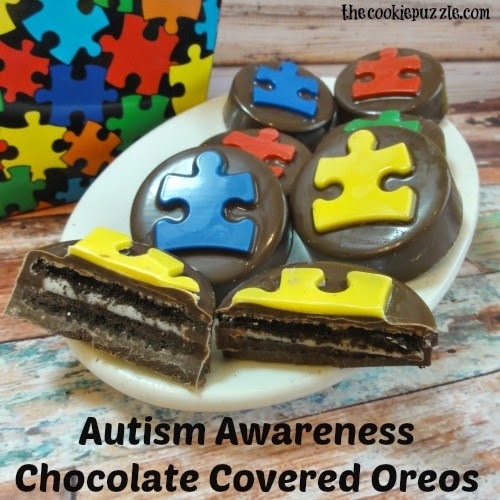 I have wanted to make chocolate covered Oreos for a long time, but never got around to it. When my friend Heather from Twins Plus One Goodies shared a picture of the mold she just got, I knew I HAD to make some! Aren't they stunning? The mold came from Spinning Leaf and the quality of their molds are amazing. While I have never made chocolate covered Oreos using a mold, I have dipped them before and used other chocolate molds make by other companies. The molds, from Spinning Leaf are the BEST. They are sturdy and strong and the details are the best. 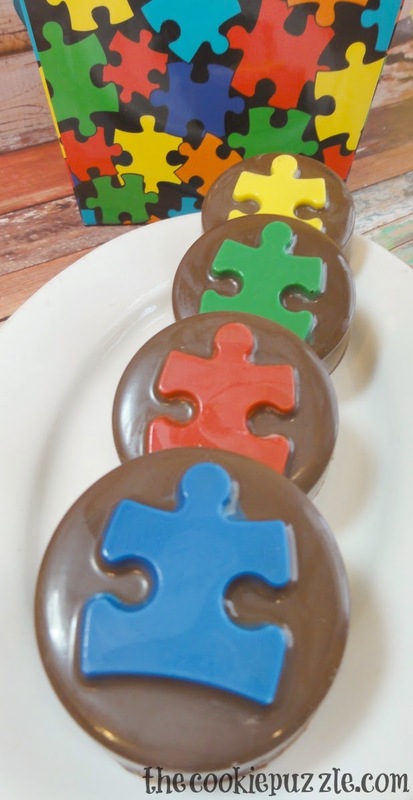 The mold I used for this project is their Autism Awareness Sandwich Cookie Mold, and I could not be happier with how they came out! Since I have never made these before, I followed the tutorial found on their website. 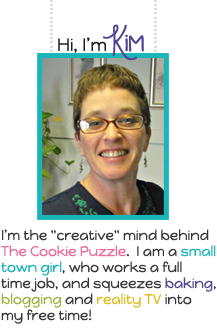 It was simple and clear and they offered many tips to get clean and professional looking molded sandwich cookies. You can find their tutorial HERE. Since this was my first time ordering from this company, I only ordered two molds, the Autism Awareness Mold and the Standard Mini Sandwich Mold, which I have not had a chance to use yet. If you have been wanting to try Chocolate Covered Sandwich Cookies using a mold, I highly recommend ordering from Spinning leaf, their molds are the best I have ever worked with. These cookies were easy to make and I love the way they turned out. Collin loved them and I will be making them again soon. I can not wait to order more of these molds and try more designs. Spinning Leaf offers a wide variety of designs and products, standard size, mini size, chocolate molds and truffle molds. I am not sure what I will be ordering next, but I will be sure to share with you soon.